The Geographic Information Centre has over 1000 nautical charts produced by the Canadian Hydrographic Service. 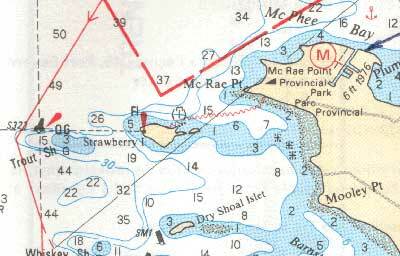 Nautical charts show features along the shoreline and seafloor, hazards, navigation aids, cultural features and natural features of the area. An explanation of the codes and symbols used on Canadian Hydrographic Charts is available online. Hydrographic Charts are located in the grey map cabinets along the windows. To determine which chart you need consult the index maps located in the top drawer of the Canadian Hydrographic Charts section of the library or consult the interactive index. Please ask staff for assistance if you need help retrieving the charts you require. Please note: the hydrographic charts are available for consulation only.